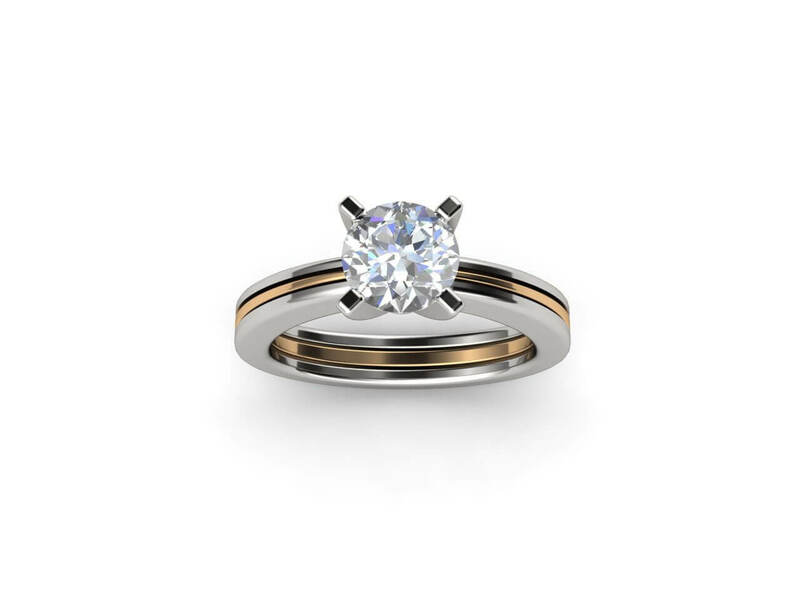 This stunning 18k white and rose gold diamond engagement ring is for the contemporary women with an eye for design. 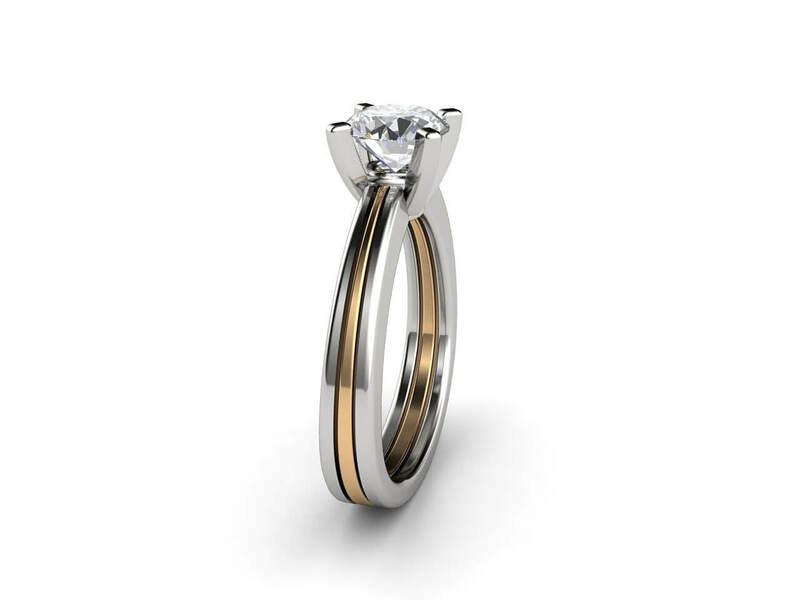 The use of different coloured metals make it a bold and intriguing design. 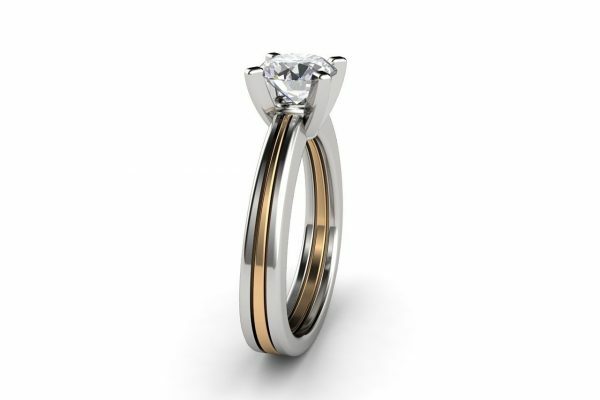 This unique engagement ring can be custom made using different combinations of metals or a single colour in 18k gold as well as platinum. 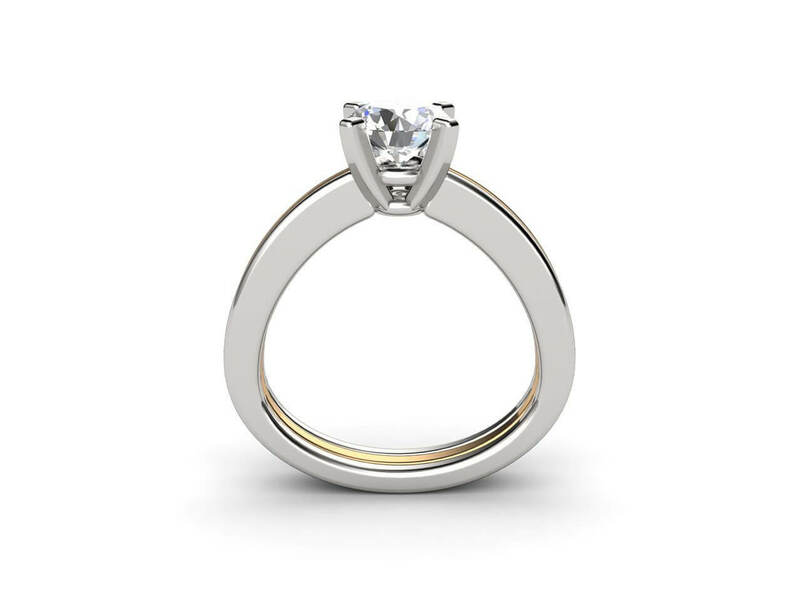 This design can be set with a brilliant solitaire round diamond in your choice of size, colour and clarity. 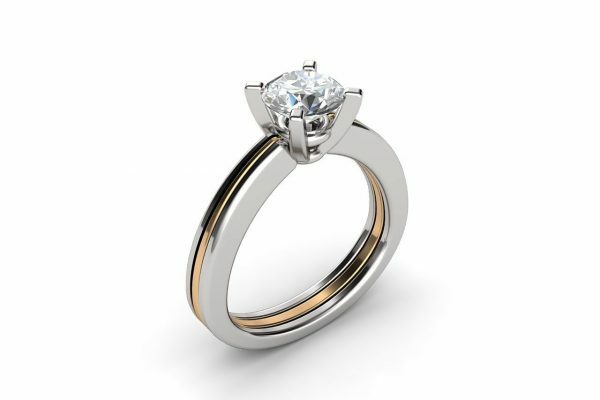 At Joseph George we specialise in bespoke jewellery designs and high quality metal work. 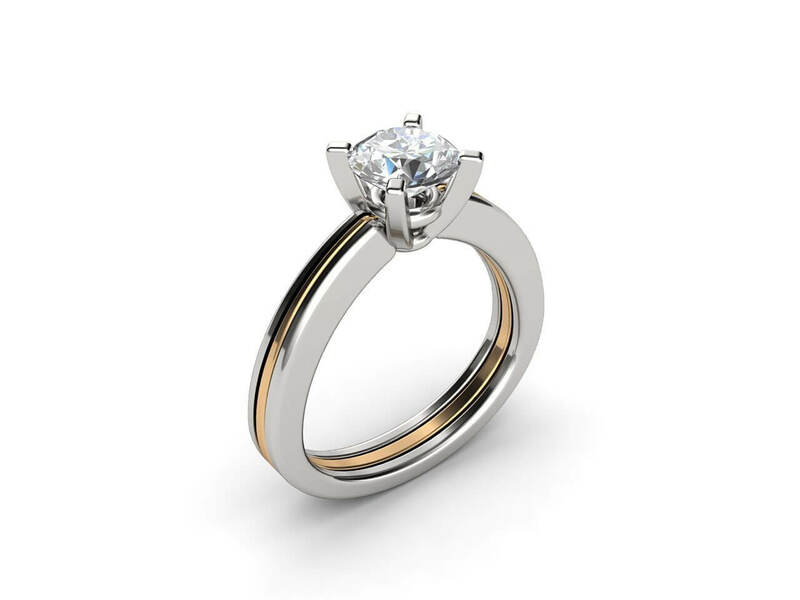 We use only the finest quality GIA certified diamonds. 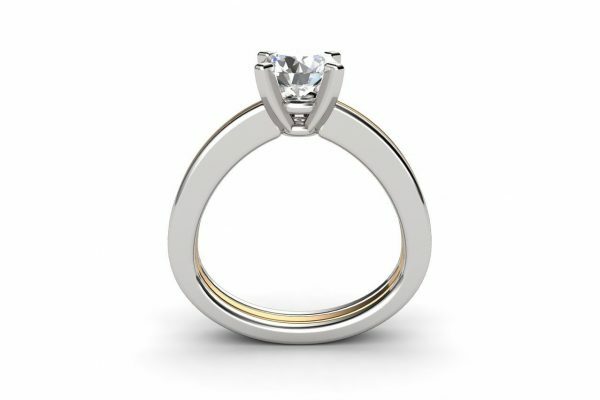 he price excludes main stones. 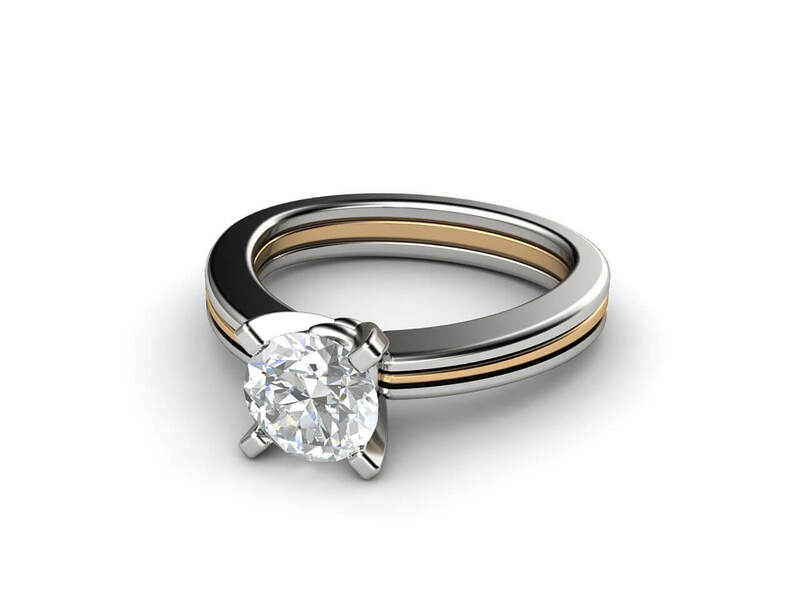 Contact us for prices of available diamonds or coloured stones.